Canada will face Brazil in a best-of-five series this weekend in London, ON with the winning country receiving the second spot reserved for the Americas Zone at the 2018 Ford World Men’s Championships. Canada has to compete for this spot despite being the reigning world champions because the United States receives an automatic spot in the World Championships as host country with the 2018 Ford World Men’s Championships taking place in Las Vegas, Nevada. Brazil will be represented by Team Mello, currently ranked 512th in the world, while Canada will be represented by four-time world champion Glenn Howard, currently ranked 15th in the world. 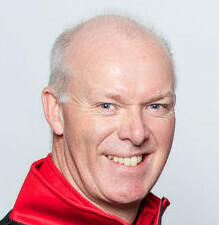 We spoke to Glenn Howard about the Americas Challenge and his team’s approach on playing an opponent they are unfamiliar with, in an event with so much at stake.